Well what a week for me. 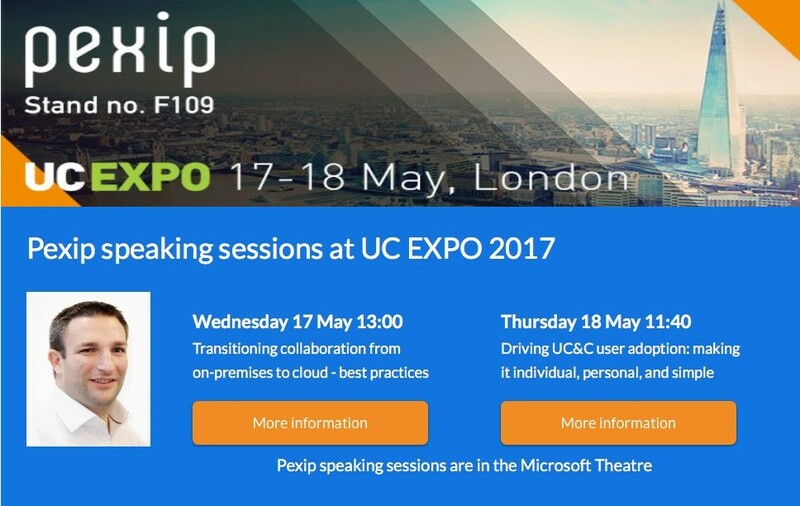 Busy busy busy..
Monday was spent preparing the platform for UC Expo on Wednesday/Thursday and then Tuesday morning was spent preparing one of my two presentations at UC Expo in the Microsoft theatre. Topics were set, just needed content. 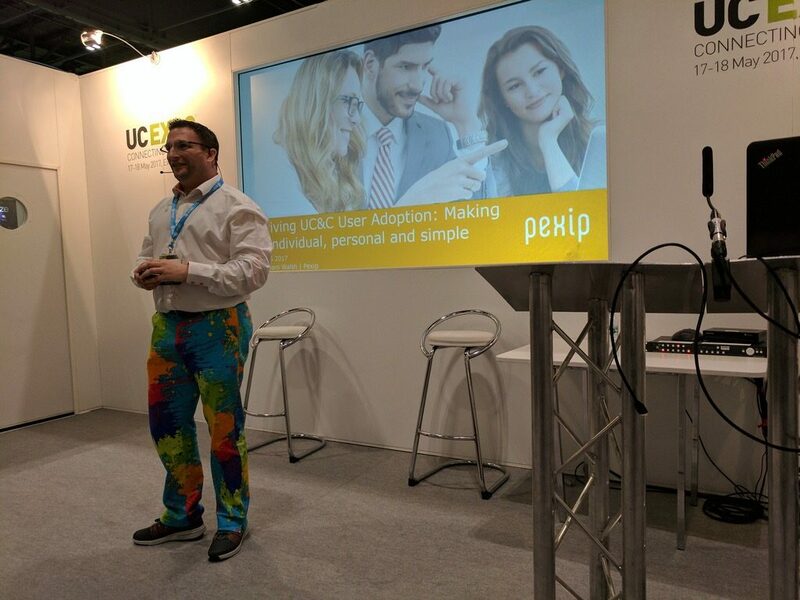 Tuesday afternoon I rocked up to Excel London and got everything going. Unfortunately my Intel NUC decided to pack up and smell really funny, so that was dead. Thankfully Amazon prime to the rescue and had a new laptop within the hour. You cannot ask for better service. Out for the obligatory pre show drinks and dinner. Up and to the show floor to prep the stand and get the swag out etc. Looking good if I do say so myself. Both days were very busy with some great customer and partner conversations. 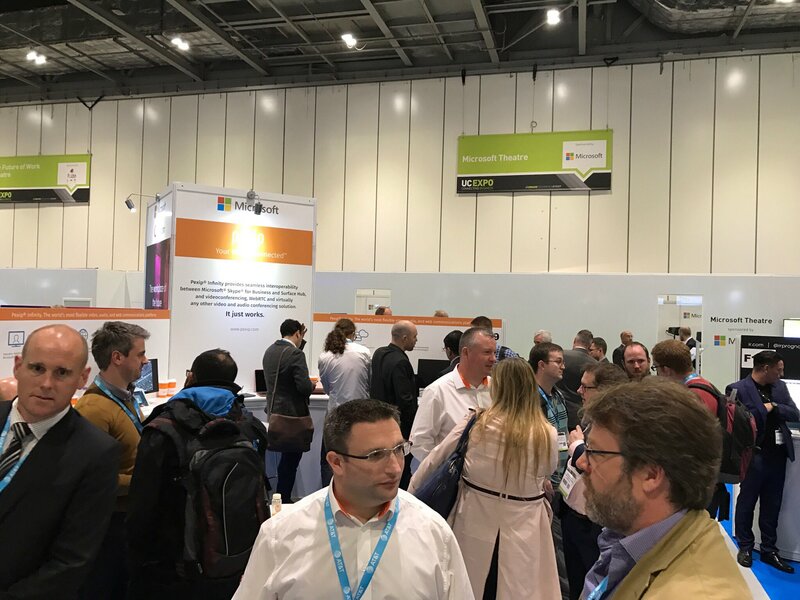 At the end of day one, we decided to re-sign for 2018, so after our second year attending, it is proving worthwhile being in the Microsoft Partner Zone as we complement Skype for Business so well. My speaking session on each day were well attended, I has estimated less people, but the scans came back indicating over 200 people over the two session. After the second session, I had four people come straight to our booth requesting a copy of the slide deck. Wow, honoured that I put together a slide deck people were interested it. 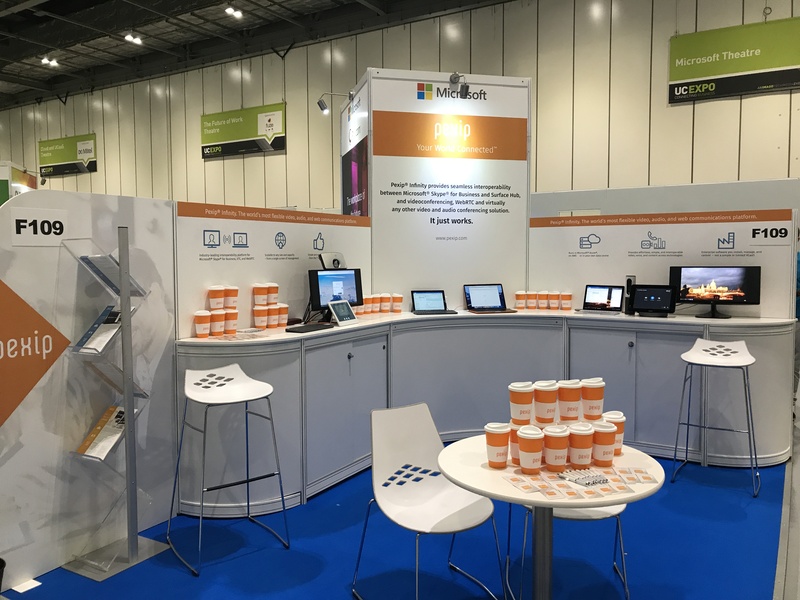 So once the show had finished, it was time to pack up and then prepare for the next day, an event hosted by the IMCCA at the Microsoft office in Paddington. So off to prepare and check over the content that a colleague put together. Luckily the content from these two days were relevant, so we blended them all in. Some great discussions with end users around the adoption of video collaboration in the workplace. Having a smaller group really makes it easier to engage and speak with people. 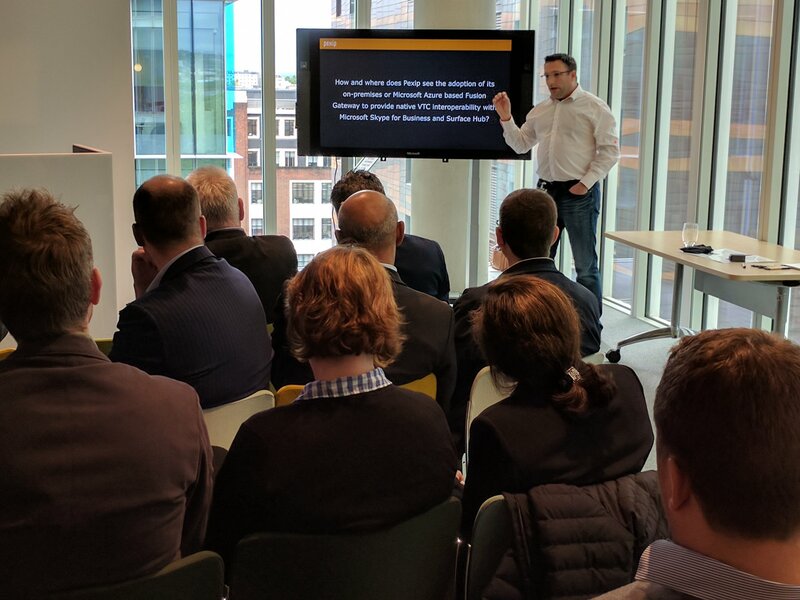 Our opening speaker was the Microsoft Surface lead for the UK, Ryan, amazing story telling and some great ideas he presented. My old colleagues from Polycom were there presenting and then myself. All in all a super busy week but very rewarding especially when something like this day two summary appears as a press release and I’m alongside some big names in the release. And to top it off a thank you from our CEO for my work this week (and not forgetting other colleagues too thanking me). All the hard work pays off and then to spend it with my boys at the weekend, makes it all worthwhile, especially as the sun was shining today. 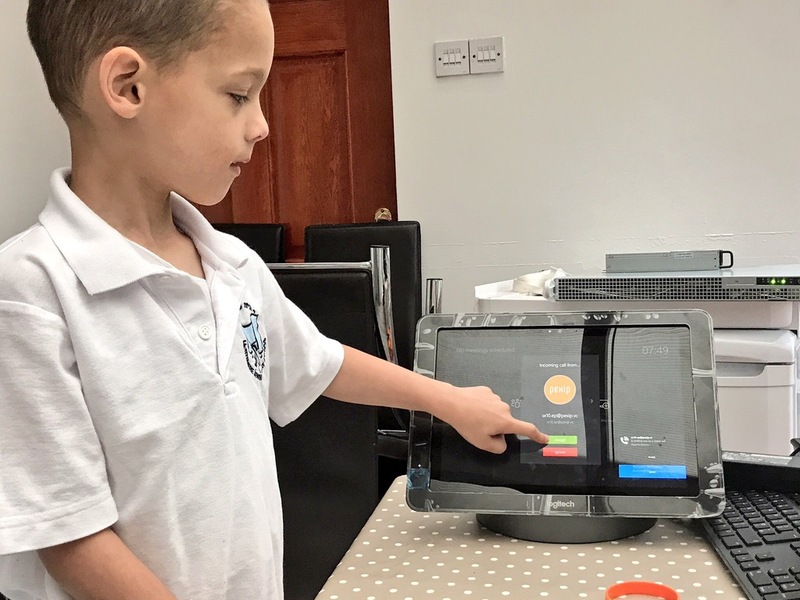 Just to top off the week, in terms of making collaboration simple, here is my six year old using the Logitech SmartDock with an incoming call from a Cisco VTC. Of course it should all work together, with Pexip it does. Now to pack for a trip to Oslo, our Five year party at the HQ is happening next week. You can’t have too much work and no play! !